HI everyone, I have been reading a great book called "What's Mine is Yours; the rise of collaborative consumption" by Rachel Botsman and Roo Rogers. In a nutshell the book explores trends towards sharing and lending resources that we may no longer need or have an excess of, instead of throwing it away. Likewise, if you need something, borrow it instead of buying something new. People are networking together and sharing cars, bikes, clothes, you name it, instead of buying more and more. This is something that we are already doing at the Crop and Swap by sharing our homegrown produce, but we can expand on this idea of collaborative sharing within our community. For example, many of us make jams, and may need jars. others may have chooks and might appreciate old egg shells to grind into shell grit. Someone else may be in need of bricks for garden beds while someone has loads sitting behind the house at home. If you have something you want to get rid of or are in need of something else, we will be leaving as register on the resource library table. Simply fill in your "wants" or "have's" and we will post in in the next Share Barrow newsletter. What do you think? let us know if you have any other ideas about this and how we could initiate it at the Crop and Swap. oh! i have to read that one! 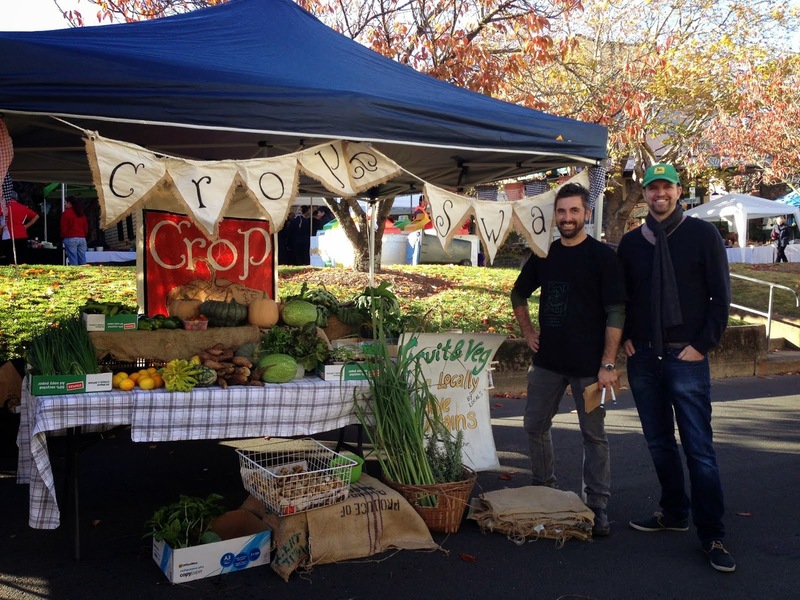 sounds like the crop n swap is doing really well! keep up the good work guys! think of you frequently and look forward to a nice relaxing time when you guys make it to our neck of the woods! Are you guys involved in the Blue Mountains Freecycle online circle? It sounds similar... I just got a brilliant new road bike from a lady that just didnt want to ride anymore! !